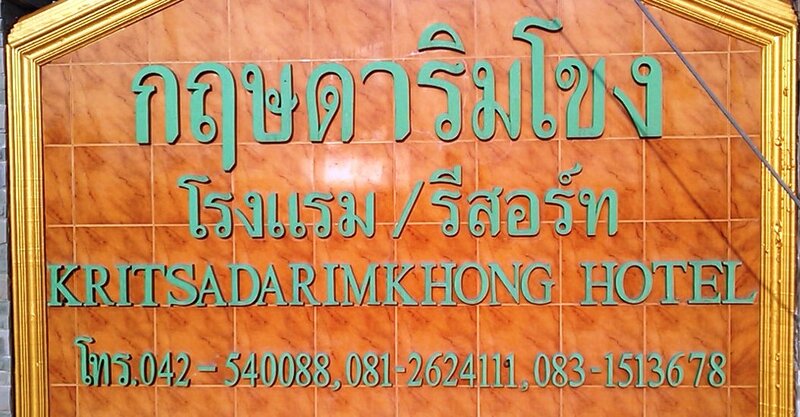 When we were on tour in July 2010 we did find a small guesthouse with about 10 rooms located right along the mighty Mekong river. 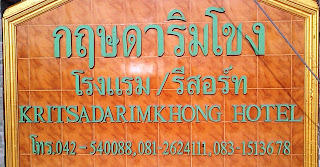 But only 2 rooms have view over the Mekong river (and Laos) and the rooms are in the price range of about 500 Thb. The rooms are big and clean and they have TV, Airco and a private bathroom with hot-water. They have a restaurant on the banks of the river for breakfast, lunch and dinner. Of course no swimming pool and only parking for a few cars. We did had dinner at their restaurant (at the river) but that was not very good. The guesthouse itself was good and the location perfect.